Outdoor Expeditions USA offers year-round guided fishing trips for anglers of all ages and experience levels including tournament style largemouth bass fishing (using artificial lures) as well as family fishing trips for largemouth bass, crappie, white perch, catfish and other species (using both artificials and live bait). 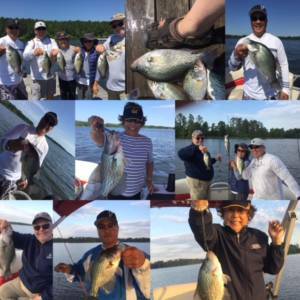 Whether you are a die hard, species specific tournament bass angler or crappie fisherman, a family or group of friends looking for a tug on your line or wanting to introduce a young one to fishing for the first time, I’ve got you covered. I welcome anglers of all experience levels and offer trips for everyone. 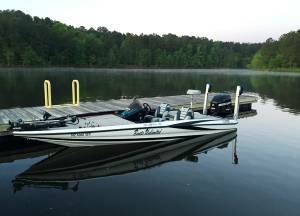 Largemouth bass fishing trips are best done off of my fully rigged, tournament ready Triton bass boat. This provides a more personalized experience and gives you more one-on-one time, allowing us to cover water quickly and efficiently. 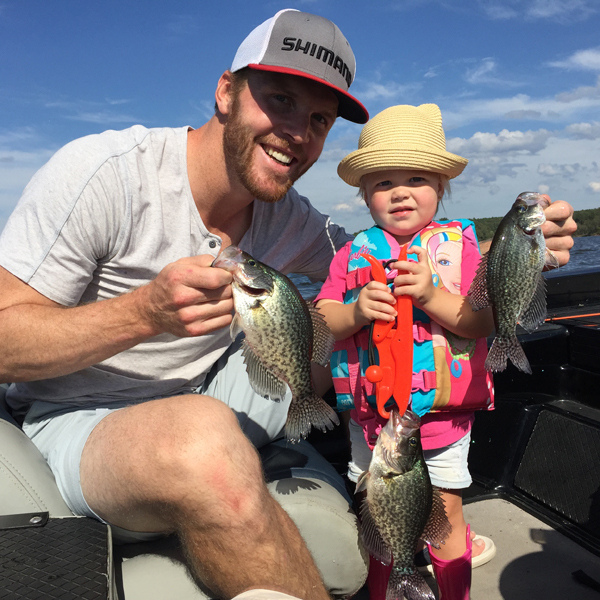 Family fishing trips for up to 6 people are done off of the 18′ pontoon. This is a great option if you are looking to entertain a group and fill a cooler for a fish fry! Both boats are equipped with Lowrance HDS electronics and Motorguide Xi5 GPS trolling motors for fishing finding and positioning accuracy. I will not be fishing during your trip and will only be there to put you in fish holding areas and to assist you with your fishing needs. 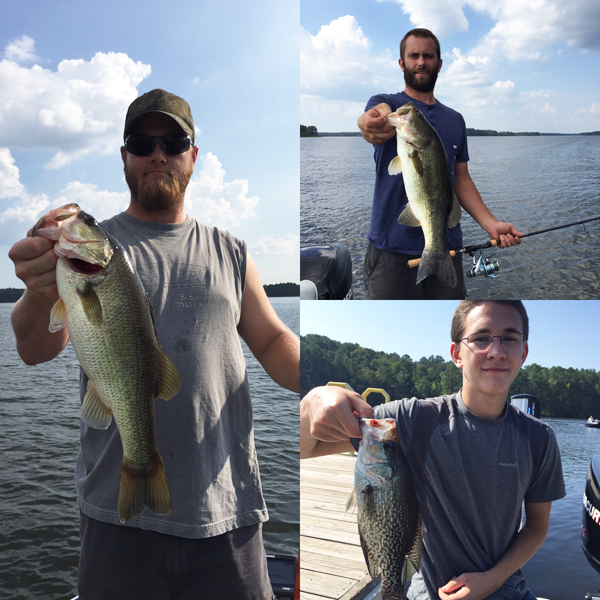 High quality, digital photos of you and your catch at no additional charge. Having the right equipment is essential in this business. I believe in the quality of each and every piece of equipment that I use for my guide trips to provide you with the best experience possible. 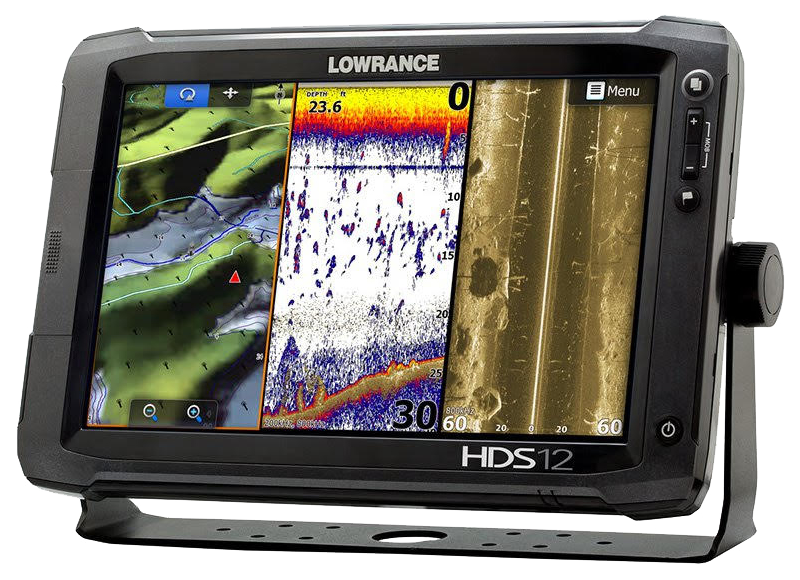 Optimized Lowrance HDS-12 and 9 Gen 2 with Point 1 antenna system. 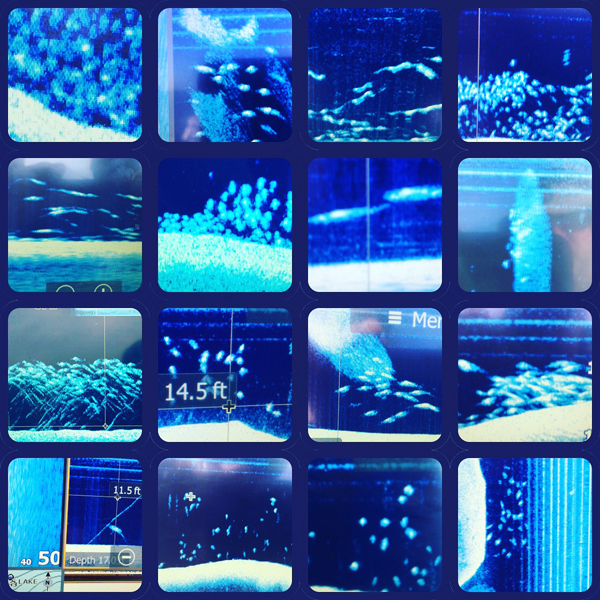 Custom mapping and Structure Scan fish finding technology. Rods and reels by 13 Fishing, Make your own luck! 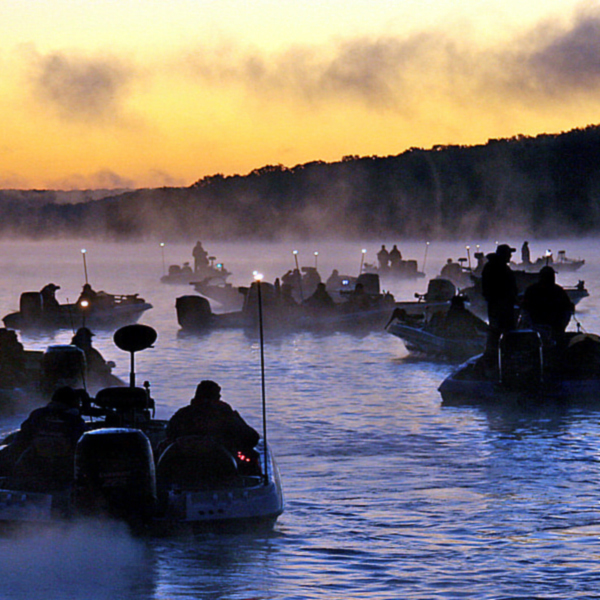 There is something available for anglers of all levels. Mix it up with our Cast and Blast option. 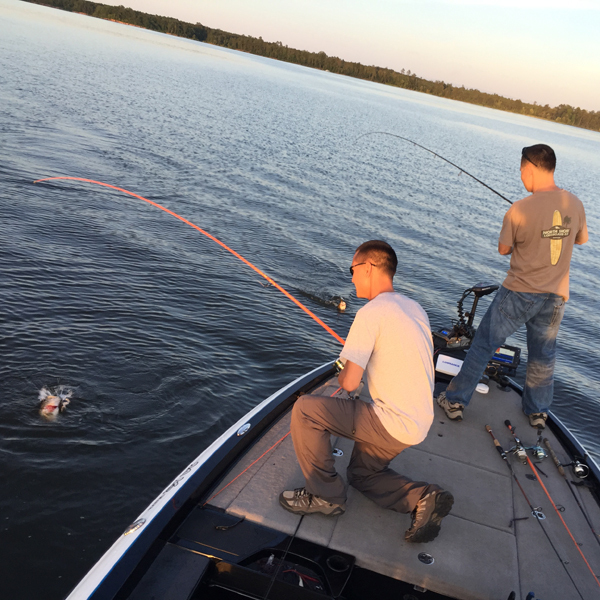 How about bass fishing in the morning and crappie fishing in the evening? Looking to entertain a large corporate group? Friends or family coming from out of town to visit? I can put together a custom package for you. I proudly offer military discounts to all active duty soldiers. 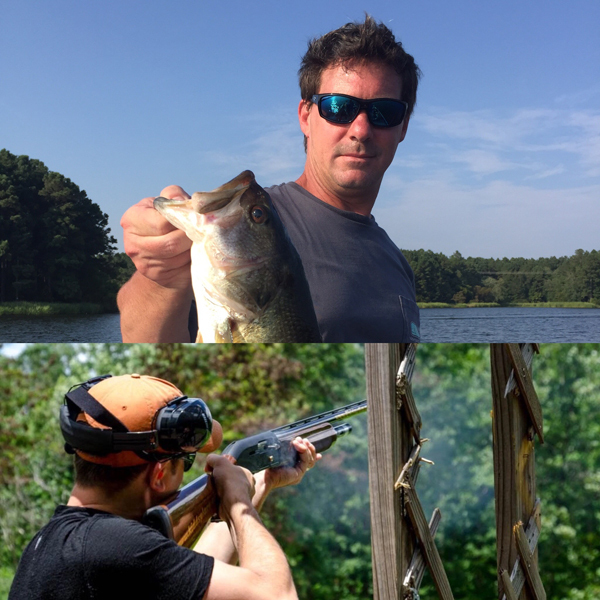 Call 919-669-2959 or email me and let me help you put together a guided fishing trip package for that special outdoorsman on your shopping list. There are lots of lodging options close the lakes that I guide on with some of the finest local shopping, restaurants and bars just minutes away. Raleigh. Apex, Cary, Durham and Holly Springs are all close by with lots to do. I am happy to make personal recommendations of some of my favorites. 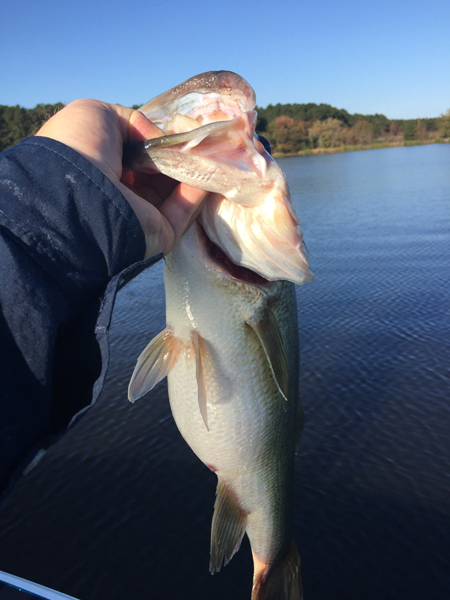 Outdoor Expeditions USA proudly recommends the following businesses to get you ready to fish on North Carolina’s best big bass lakes. For all of your outboard needs. Authorized Mercury dealer and master technician. Tournament grade tackle shop. Family owned and operated in Fuquay Varina, NC. Convenient to Shearon Harris and Jordan Lake. Tournament grade tackle shop. Family owned and operated in Wake Forest, NC. Near Falls Lake. For all of your shooting needs. The best spinnerbait and buzzbait storage made. Reviews of inflatable fishing boats, kayaks, and SUPs. Outdoor Expeditions USA is featured in their fishing guides and charters guidebook. Current lake level info from the US Army Corps of Engineers. Get your fishing license on-line or by phone. AR500 steel targets made right here in NC. The best reactive targets made! 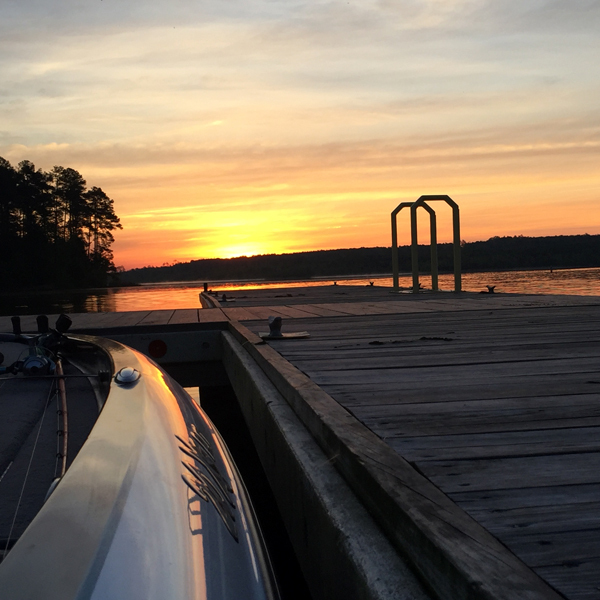 Secure and private boat and RV storage located just 10 minutes from Shearon Harris. Website and logo design for Outdoor Expeditions USA were done by Kelly V Miller Custom Creative Design.